Available raw or cooked, our replica meats are the perfect compliment to your display case. 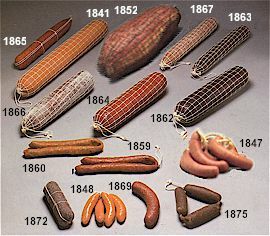 Need hanging meats for decor in your deli? We have the hanging meat for you. New employees in supermarket delis can also use them as models, which reduces training costs.